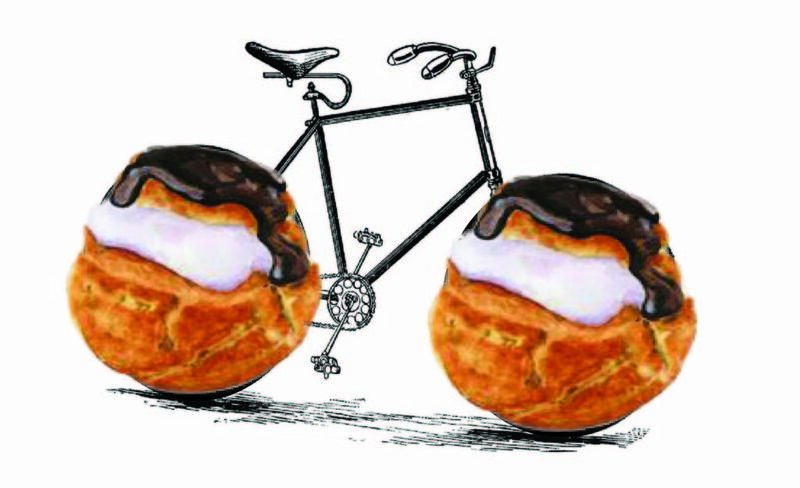 Our self-guided bike pastry scavenger hunt will roll throughout the city again and culminate with a post-ride celebration, bike rodeo, e-bike demos, pastry fun and refreshments at Front Street and Cecil B. Moore Avenue starting at 10:30 AM. Cake Life and Little Baby’s Ice Cream are some of the first stations to announce! Bikes N Beans will be helping with ride support and caffeine. If you’d like to be on the route this year, fill out our form or contact ashley@bicyclecoalition.org for more details. Joining us will be our newest partner, Families for Safe Streets of Greater Philadelphia, founded in support of families affected by traffic injuries and fatalities in Philadelphia and dedicated to finding new solutions to prevent these tragedies. ProfiteRoll was inspired by Emily Fredricks, Le Cheri’s pastry chef who was killed in November 2017 while cycling on Spruce Street. We’d like to activate our restaurant and cycling community in this fundraiser to create safer streets and help those who have been affected by crashes. We’ve been amazed at the work of the Fredricks family with their help in establishing this ride and founding our very own chapter of Families for Safe Streets. 1. Tell me more about this ride! What is the route? The ride is a leisurely, self-guided tour that goes through South Philly, Center City, and Fishtown & Kensington. Each station will give out a sweet treat to participants that stop by. You can start at any point on the route we will publish. This is not a supported ride and will be on streets open to traffic, so participating riders should be prepared to handle any mechanical issues on their own and should be comfortable riding in typical city conditions. 2. Do I need to register ahead of time? Yes, all participants need to register by Friday, April 19th. 3. What is the schedule for the day? What do I need to bring? All participants will be emailed a “passport” map which will be stamped at each participating station when you pick up your sweet treat. If you can’t print it out ahead of time, you can pick one up at the starting location on the day of the ride. Besides your map and “passport,” you should bring a helmet, water, lock, and any other supplies you’ll need to comfortably complete the ride. 4. Can children participate? Do they need a ticket? We welcome people of all ages on this ride! Anyone who is consuming a treat at each station will need their own ticket. So, if your child wants their own treat at each stop, they should have their own ticket & passport. Otherwise, they may just tag along and share!